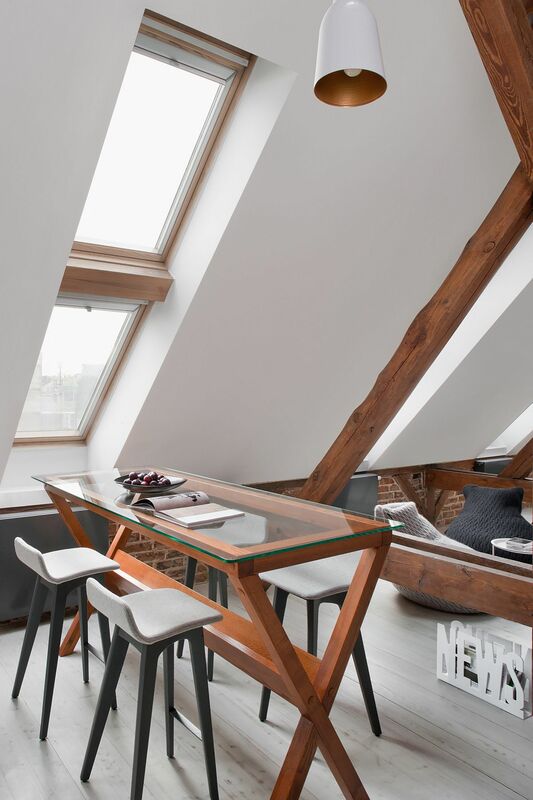 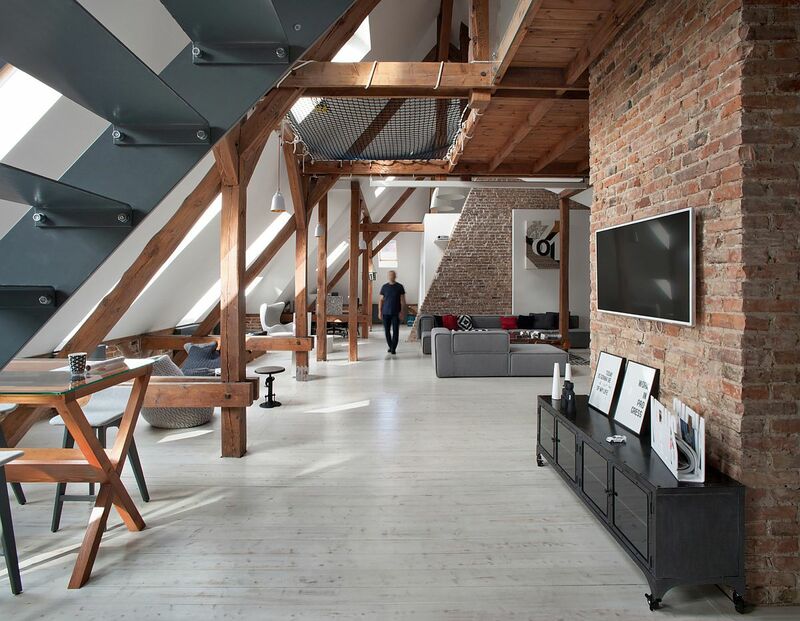 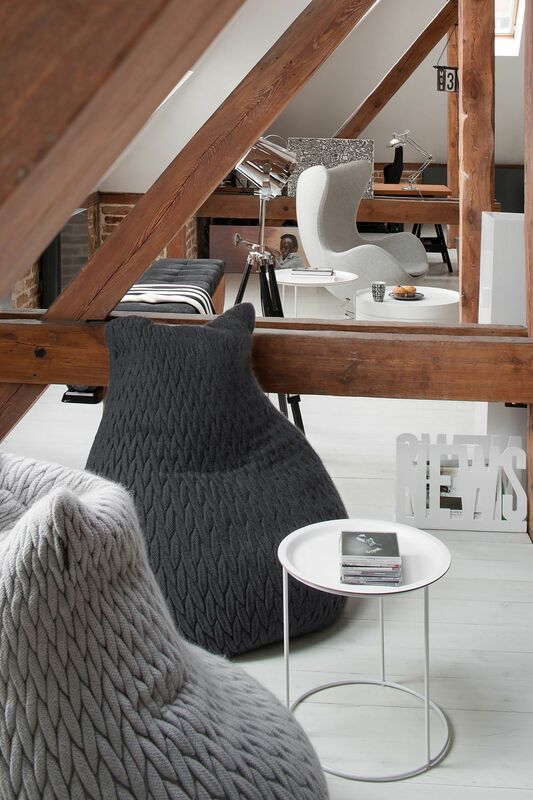 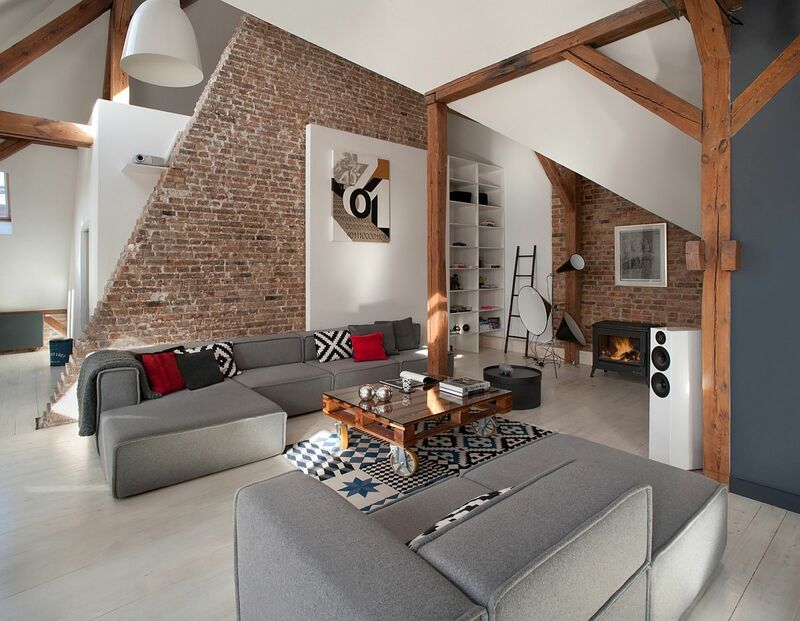 There is something undeniably elegant and timeless about an exposed brick wall and fabulous timber beams when done right, and this gorgeous Apartment in Poznan offers another elegant case in point. 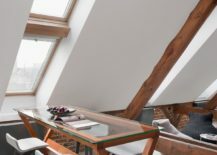 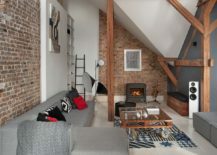 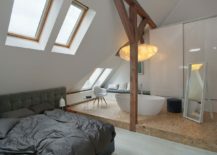 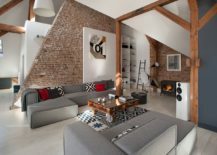 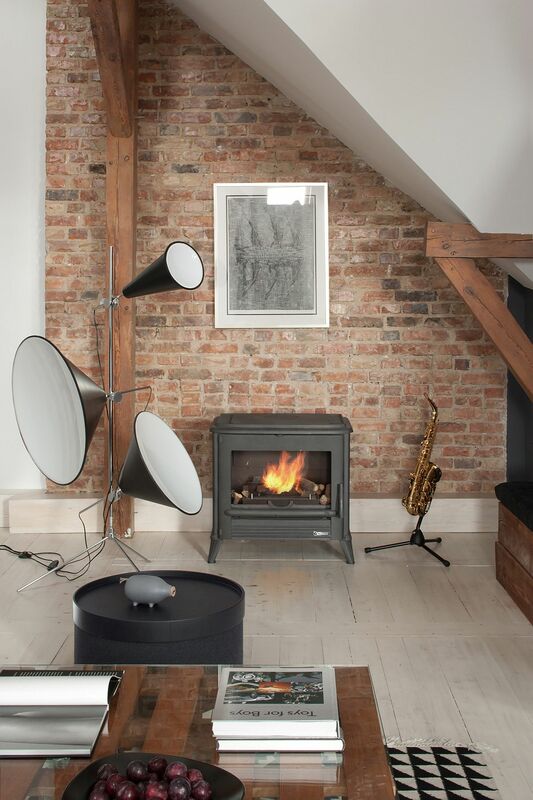 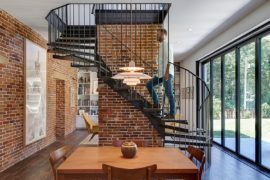 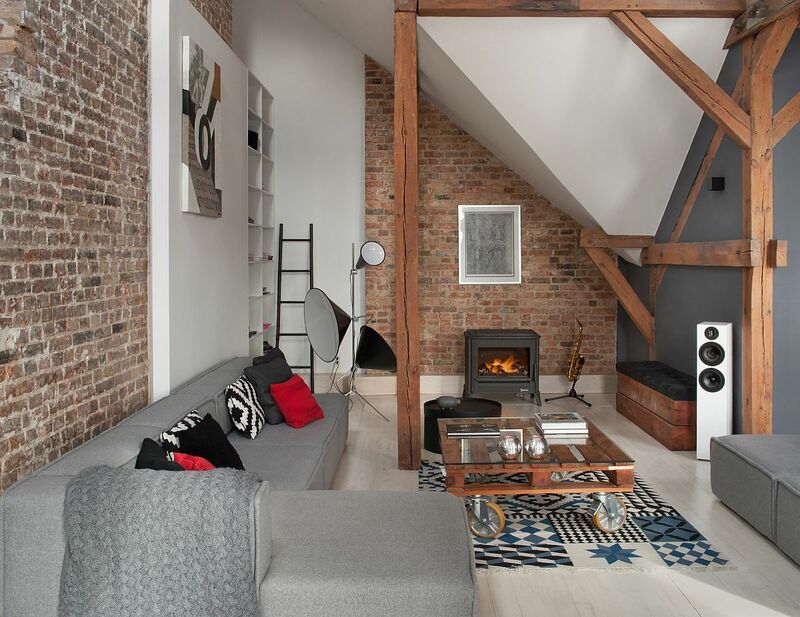 Designed by Cuns Studio, the attic apartment was previously home to a local business, and despite years of wear and tear, the original brick walls of the interior and the exposed roof timber structure were largely in usable condition. 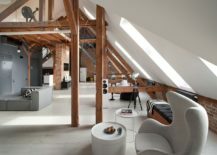 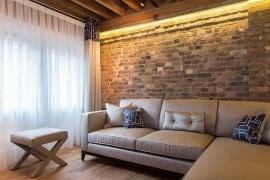 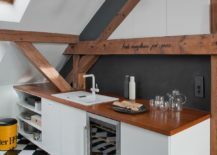 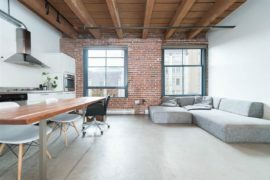 This allowed the architects to create an open and exquisite apartment where the timber beams and brick walls delineate space visually without ever seeming out of place. 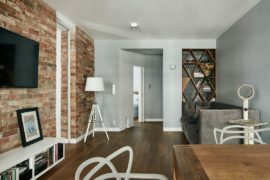 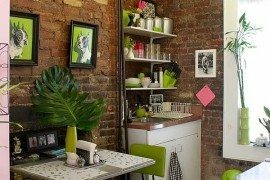 The central theme of the 170-square-meter apartment makeover was the creation of one large, open living space that allows the homeowner to host plenty of weekend parties without having to move things around. 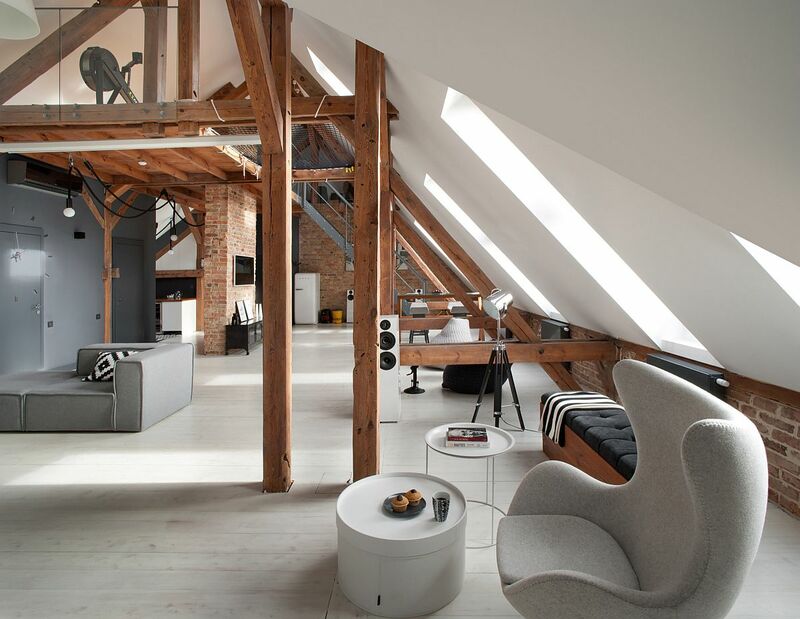 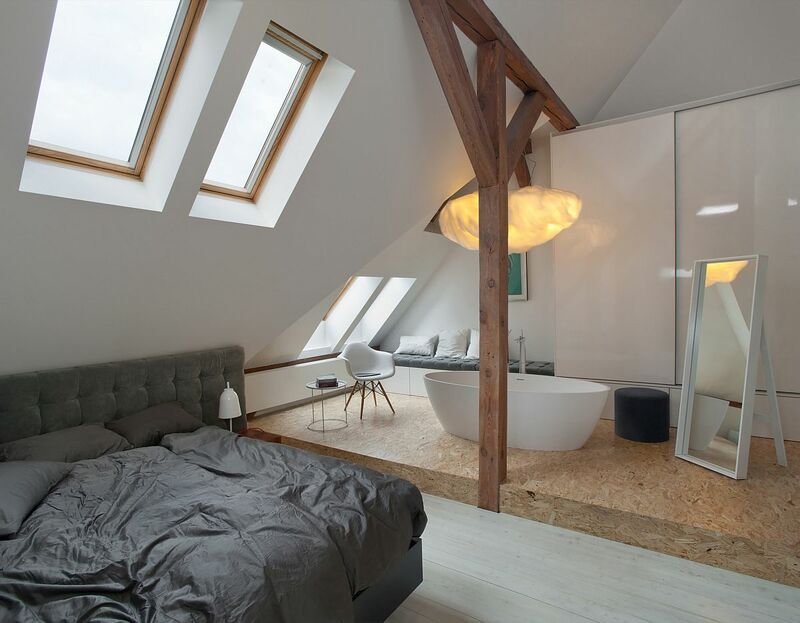 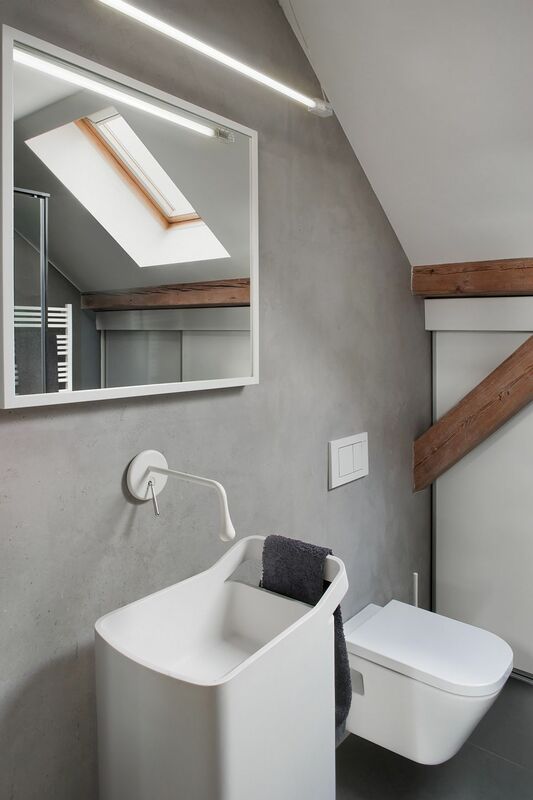 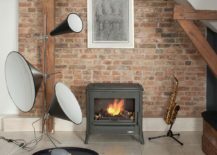 The lack of large interior walls also allows light to flow easily from one end of the loft to another and creates a cheerful and breezy atmosphere. 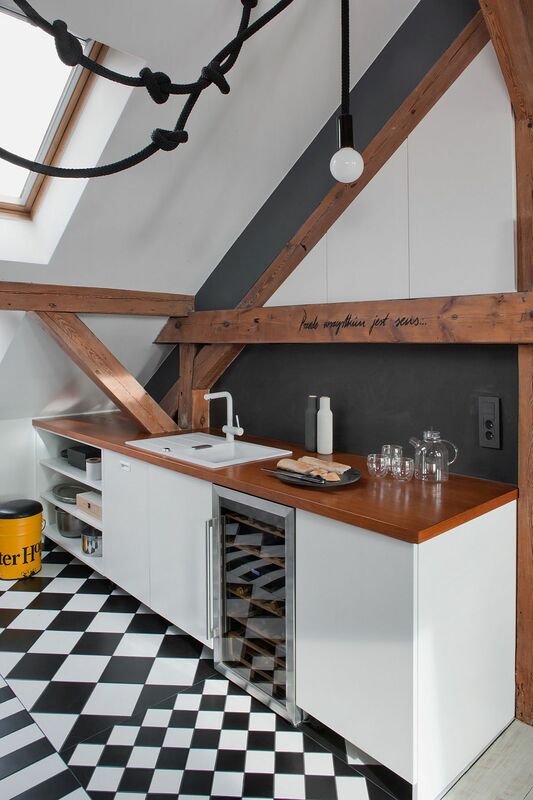 The kitchen with its unassuming, space-savvy design and the small dining area blend in effortlessly with the overall theme and neutral color scheme.